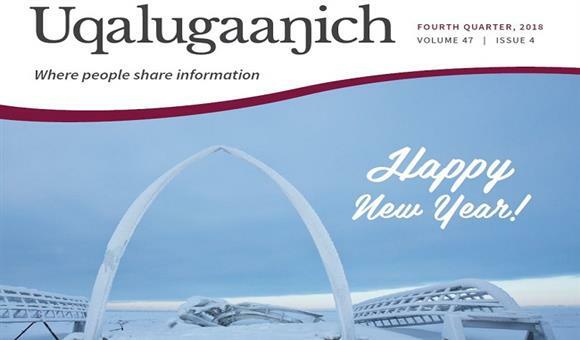 The final Uqalugaaŋich for 2018 is ready for viewing! Check it out! A Culinary Camp is Headed to Barrow! 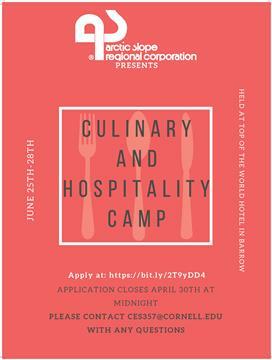 A culinary and hospitality camp is headed to Utqiaġvik for June 25th through the 28th. The camp will be held at the Top of the World Hotel, and is open to ASRC shareholders from the ages of 13-18. Are you a student, looking for a summer internship? 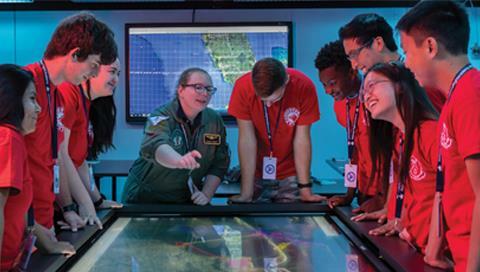 The National Flight Academy Deployment is a 6 day immersive summer camp in Pensacola, Florida, that blends the culture and excitement of aviation with 21st century technology. 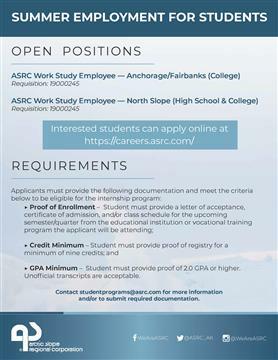 This opportunity is for ASRC shareholders in grade 6-12.